We value the benefits gained for our students and our school by giving positions of responsibility to our students. There are many extra-curricular activities and programmes providing opportunities such as: Head Girls, Games Captains, Senior Prefects, Class Prefects, Library Prefects, Student Council, Green Schools Committee, Cara Programme. Furthermore, we like to affirm student achievement with a number of awards schemes. The latest addition in this regard is a scheme which acknowledges the academic improvement of students in our house examinations. Music is an integral part of the life of our school. All 1st Year students take part in choir and it is an option in all other years. More than 500 girls sing in school choirs and the annual highlight of the year is our participation in the Kilkenny Music Festival. The girls regularly perform in school concerts, liturgies and other school events. In recent years, our 6th Year choir competed in the Bratislava Advent Festival, winning a Gold award. Our school orchestra, with over 100 members, rehearses every Thursday after school, giving students the opportunity to develop as ensemble players. The orchestra competes annually in the All Ireland Feis Ceoil and we have claimed the Dorothy Meyer Cup on numerous occasions (most recently 2017). This is the premier orchestra competition for second-level school orchestras in Ireland. At Loreto we value the role that sport plays in the personal development of our students. We offer a wide range of sports and are proud of the level of participation and success. We have an Olympic standard gymnasium/basketball arena, an all-weather, astro-turf floodlit Hockey pitch as well as a Camogie/Gaelic football pitch. During the summer of 2018, our Hockey pitch was upgraded to the most up-to-date surface available and is now capable of hosting international matches. We also have a suite of Gym equipment (spinning machines, weights, cross trainers etc.) 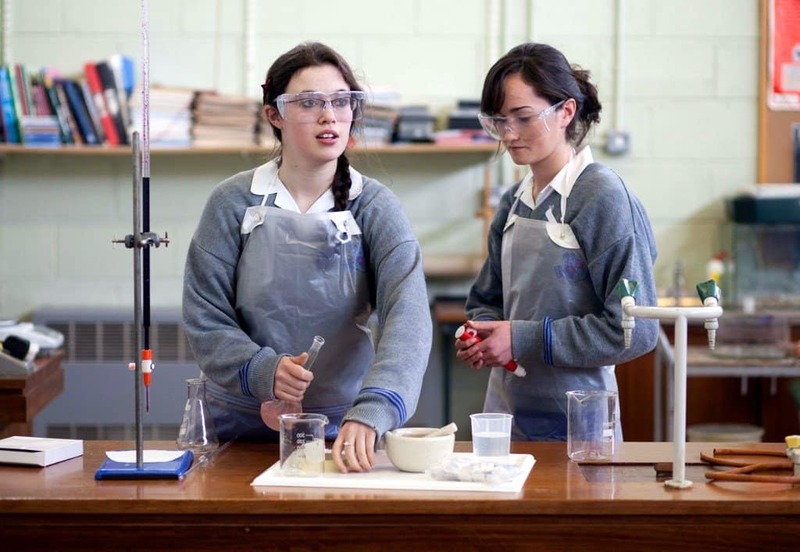 which our senior students can avail of outside of class time. Training for games takes place during lunch hour and after school. The Athletics team have experienced unprecedented successes over the years. Many of our athletes have achieved opportunities to compete at Provincial, National and International level. Two national records are currently held by past pupils with Loreto Kilkenny one of the top girls’ schools in the All Ireland schools competition. We are the current holders of the famous Loreto Shield for the best overall Loreto athletics team in Ireland. This is an annual competition which was first introduced in 1905 making it one of the oldest competitions in the world. The Running Club is a lunch-time club that encourages all students to get fit. All students from 1st to 6th year are welcome to join up. The students also have the option of taking part in cross country competitions during the year. Loreto athletes have an amazing record in the All Ireland Cross Country championships, regularly placing in the medals as individuals or in the team events. This year the school have entered 18 hockey teams in the South-East League at Senior, Junior and Minor level. We have produced many fine hockey players over the years that have participated in Inter-Pro competitions, Inter-varsity competitions, U-21 Internationals and full Senior Internationals. The school has won many league and cup finals over the years and we are very proud of our tradition in this sport. We have many Basketball teams in the school and we participate in the south-east league every year. Our senior team have reached the all-Ireland quarter final playoffs for the past two seasons. Our Badminton teams have competed very well at the local, provincial and national championships over the past few years winning a Senior Div 2 title two years ago and last year winning the U-14 Div 2 title for the first time. We enter a swim team into the Loreto Gala every year and last year we won best overall Loreto School at this competition in the NAC. We have also won the Best School Spirit award at this competition. Many of our students compete in schools’ equestrian competitions during the year. We support and encourage any students who are involved in these competitions. All First Year students compete in the Loreto Champions League in early September. The First Year Panel also compete in the National Futsal Cup of which we were National winners in 2009. Soccer is provided at U-14, U-15, U-17 and U-19 levels and Loreto have been Leinster “A” Champions in all age groups in recent years. Loreto’s under 17 soccer team won back to back U-17 Junior All-Ireland Championships in 2013 & 2014. We enter teams in all age groups: First Year, Minor, Junior and Senior. The school’s achievements over the past decade have been incredible to say the least. The highlight has been our four-in-a-row All Ireland winning streak at Senior level (2010-2013) with further successes in 2017 and 2018. We have also won numerous All Ireland, Leinster and County titles in all age groups. We have been entering teams in Leinster competitions for the last few years, mainly to cater for the interests of our junior students. We have growing interest and success in the game of Golf. Our teams have won Leinster titles and have competed at All Ireland level. Teams are entered into Loreto competitions. Our senior debaters recently won a national prize and 25 of our students travelled to Strasbourg to represent Ireland at an E.U. assembly. Public Access to Law – we competed in the world ‘mock trial’ competition for the third time in New York 2016. Justice and Peace/development education – this activity involves the exploration of justice issues. School Tours – Germany 2014, London 2015, Scotland (Hockey) 2015, France (2015), New York (2016), Rome 2016, Berlin 2017.